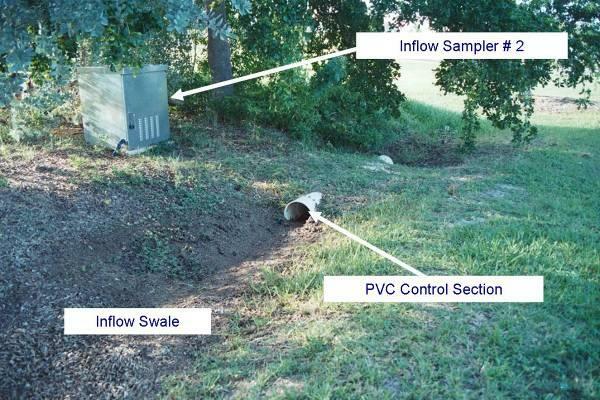 Although dry detention stormwater management systems have been commonly used in the Florida Keys, no previous research has been performed to evaluate the effectiveness of these systems for retaining stormwater pollutants and preventing downward migration of pollutants into shallow groundwater. 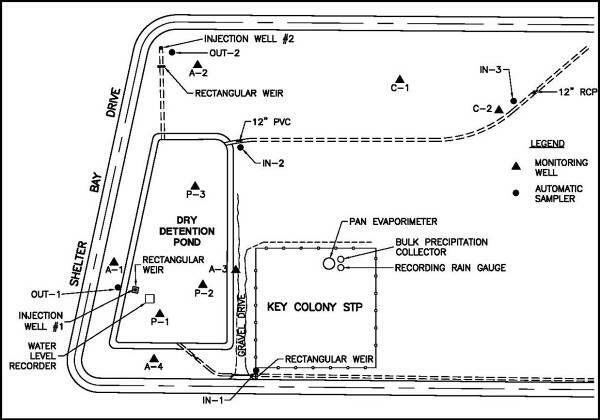 This project was conducted to evaluate the performance efficiency of a dry detention pond constructed in the Florida Keys, with particular emphasis on shallow groundwater impacts resulting from infiltration of runoff into the bottom of the detention basin, as well as deeper groundwater impacts resulting from the use of injection drainage wells for disposal of the treated runoff. 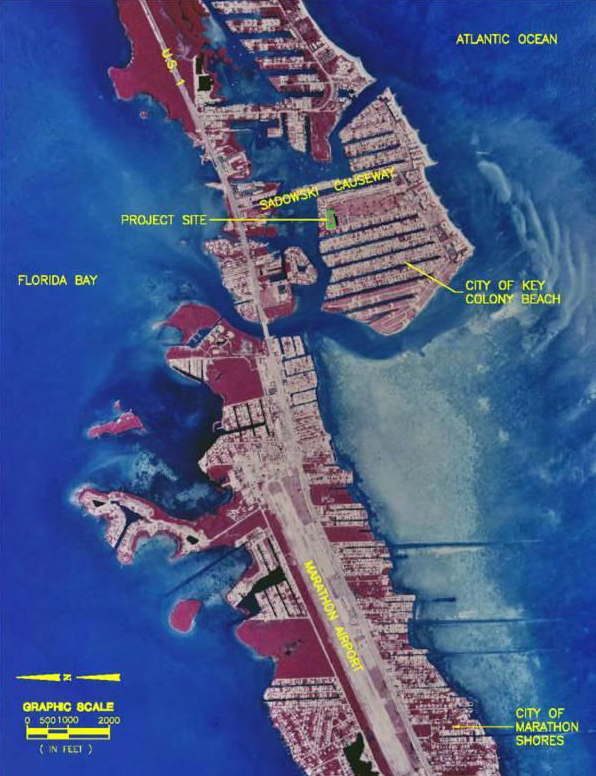 Field monitoring was performed by ERD at the Key Colony Beach site from July 2001-November 2002. Work efforts included field instrumentation of the dry detention pond, followed by a 16-month period of field monitoring to define water quality and hydrologic characteristics of the system. A complete hydrologic budget was performed on the dry detention facility, including direct measurement of inputs from stormwater runoff and direct precipitation, with losses occurring as a result of infiltration into shallow groundwater, evaporation, and discharge into the drainage well. 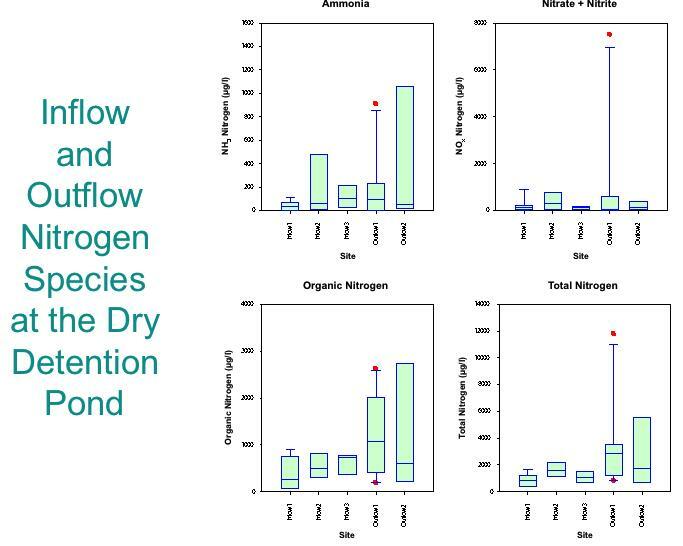 Chemical analyses were also performed on inputs into the pond from stormwater runoff and bulk precipitation, along with pond surface water and discharges into the injection wells. Shallow and deep groundwater characteristics were also evaluated to identify potential groundwater impacts. In excess of 280,000 separate hydrologic and laboratory measurements were generated during the course of this project.